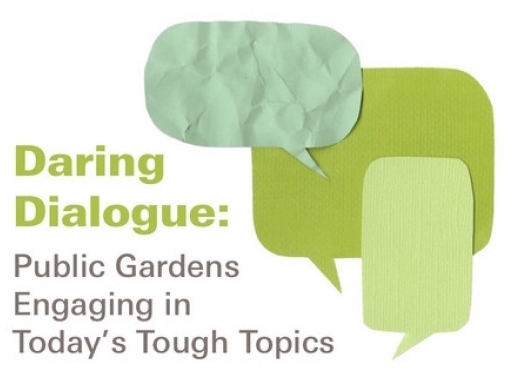 Can You Tackle Today’s Tough Topics in a Garden? Public gardens and cultural institutions are centers of community, science, and art. Today’s society is often overwhelmed with debates in all of these areas. In a world where misspoken words amplify in a matter of minutes, how can institutions tactfully open discussion on today’s difficult topics? When and where do they provide research, resources, and opportunities to interact with new or contested ideas? This entry was posted in Community engagement, Resources and tagged Joseph McGill, Linda Norris, Longwood Gardens, Rainey Tisdale, Sarah Pharaon on February 26, 2016 by Max van Balgooy.